Put Some Character in There! 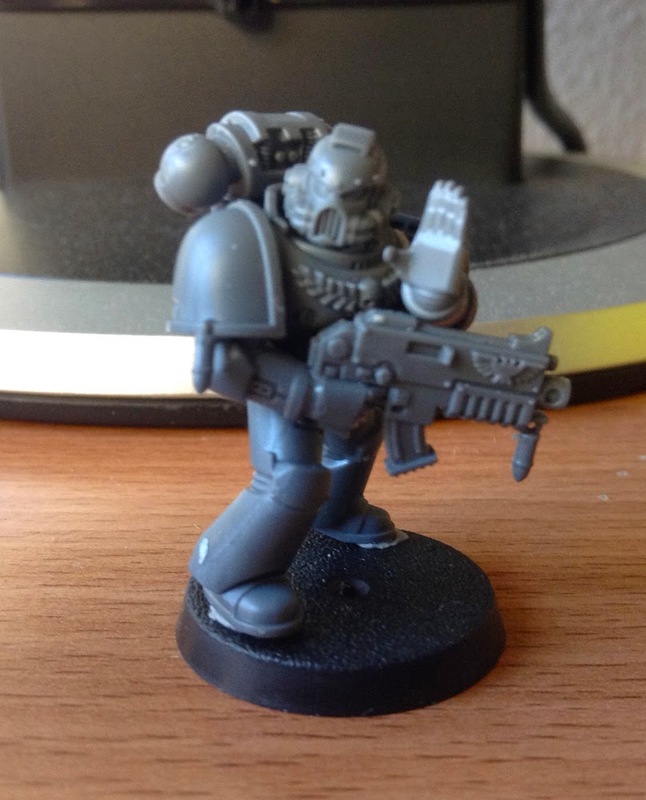 Mostly when I assemble my mini's or in most cases whole units, I just assemble them rather quickly and give models a cool pose here and there and then be done with it. Orks for example are pretty easy. Just put their arms up in the air and they look like they're chopping the zog out of your enemies. 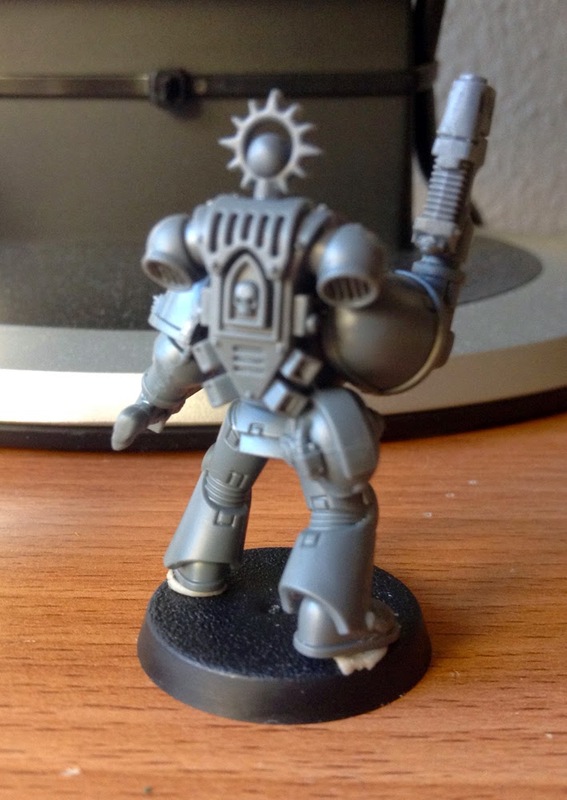 But with the Astral Claws as a "showcase" army, I want to give the poses and characters more... thought. Follow me on the quest for more characterful models! 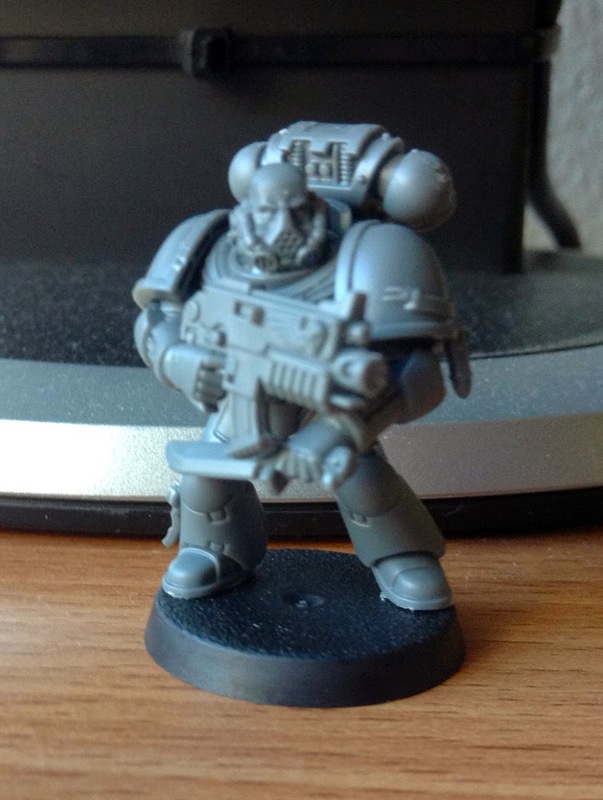 For my newest Astral Claws I'm using the bits of the tactical squad kit mostly, but I'll be probably using bits from other kits also to spice 'em up. 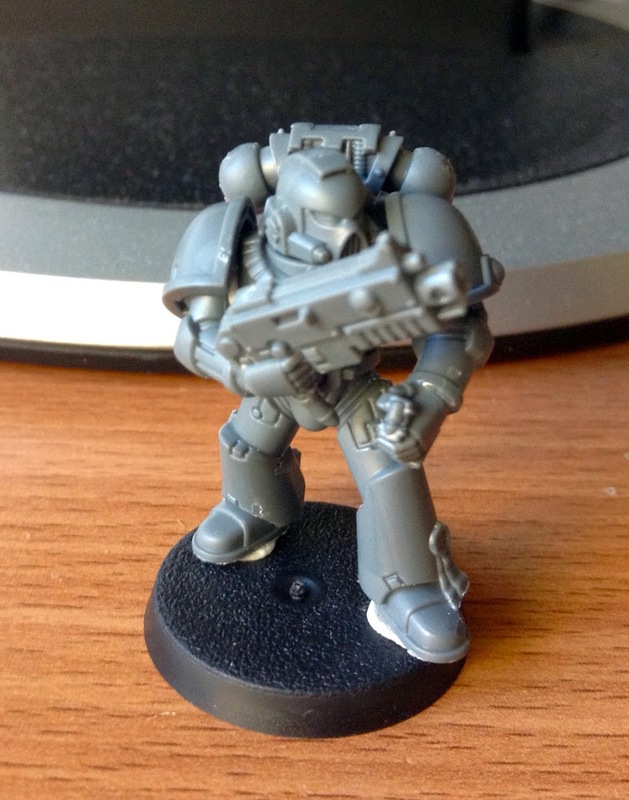 The newest tactical squad box has lots nice bitz; combi weapons, loose hands, nice variety of shoulder pads, etc. Let's see what we can make of that! This kit has a lot of upright poses, so I was thinking of a "get ready for battle" stance. 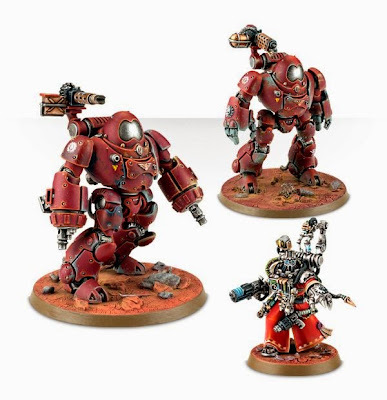 This squad of Astral Claws just arrived on the battlefield (or is ready for round two) and are preparing themselves for incoming enemies. 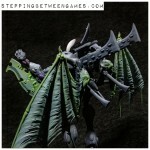 Just get everything off the sprues (yes everything) and spread them out on your table. 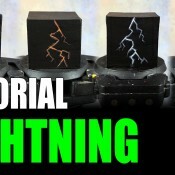 Examine the bits, dry fit, see what you can build and/or get some inspiration on the interwebz! Think about the character of the models (you don't need to make up a whole book of fluff of course- well you can do that if you wish) and think about their roles. The sarge is rather simple, he's da boss, but perhaps he has a trusted brother who can take over command when he has a day off- I mean, when he dies. 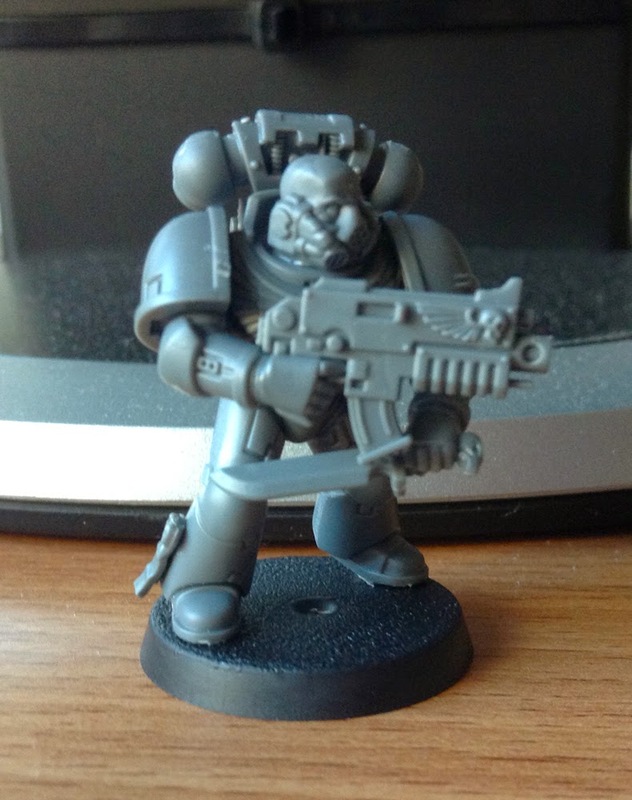 Or perhaps an other brother is eager to get stuck in the fight and has his bolter all set. You name it! Lot's of ideas to explore. It's just asking yourself "why?" What is the idea behind it? You'll be probably happier with your models when you think em out then assemble them on the fly. Let's get started! First up, the sarge. I wanted to give him a watchful look. He's looking over the battlefield; scanning for enemy activity, strategic points while waiting for orders from higher up. I saw the pose on the back of the box and it quite fit the idea. Of course being an Astral Claw he suffers from an inflated ego, so the cocky pose suits him perfectly. The bare head also has a grim and determent look. I put his helmet on his back in case he might need it. And since he doesn't carry the banner, I figured the banner top could be placed on his backpack. 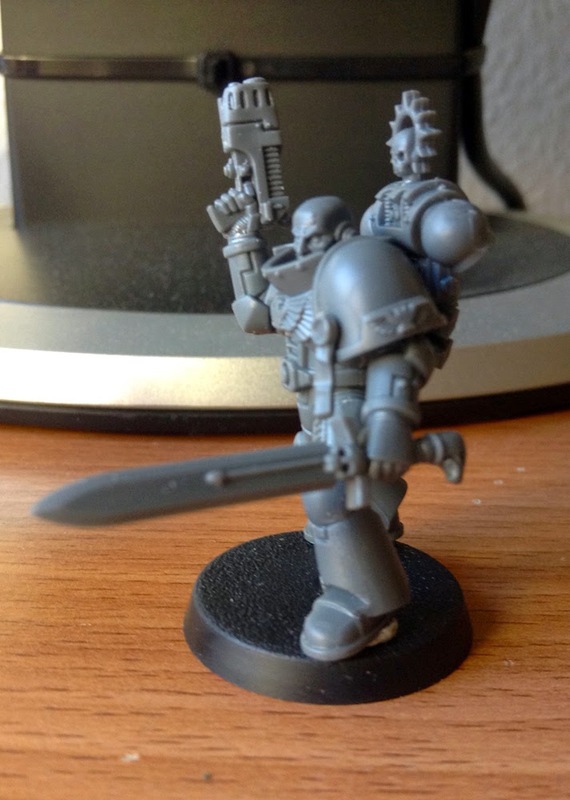 To give the sarge more "bossness" ;) and the power sword and plasma pistol make him extra cool. "Get the tea ready chaps!" Next up, second in command.... Let's call him Frank* for now. Frank's getting a shouting pose. He's telling the lads to make themselves ready for battle. I knew I wouldn't use the missile launcher so that left over arm came in handy! The armour he wears is a wee bit fancier that the rest of the men to show his status. So, this two's done, on to the next! The young brother Tommy* who came from the 8th reserve company not long ago, is an eager and almost foolhardy lad. He quickly draws his knife (a habit he had developed during his time as an assault marine) and impatiently awaits orders. He's already been rewarded for his "brave" actions as shown by the purity seals. He will be a perfect Retaliator! Sometimes the inspiration for character fluff comes when you're actually assemble them (brother Tommy in my case), but it's always a good idea to think about and plan your units before building them. They'll get a more consistent and uniform appearance. I'm still working on the rest of the squad (four left to do), those models will get a more standard pose but perhaps I'll think of something to make them more unique. 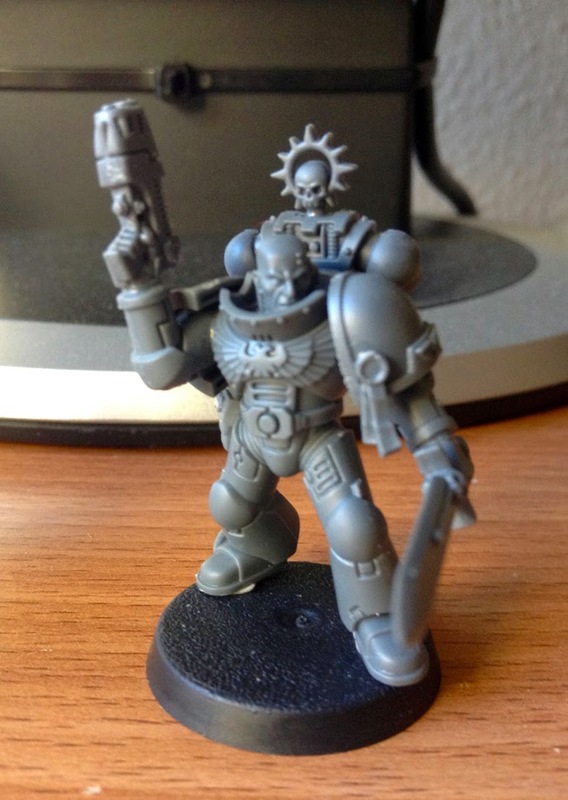 It's best to take your time with your models methinks. Especially important units/characters. I hope this little rant will help you guys with building unique units! Like I said before, you don't necessarily have to write thick books of fluff but it's best to have some ideas before you begin. Thanks for reading! Next update will include a painted Astral Claw! * their real names are altered for possible lurking eyes of the Inquisition by the command of the Tyrant of Badab.